recent historic flooding in West Virginia. residents in West Virginia affected by the recent flooding. and folded free of charge for those in the directly affected areas. 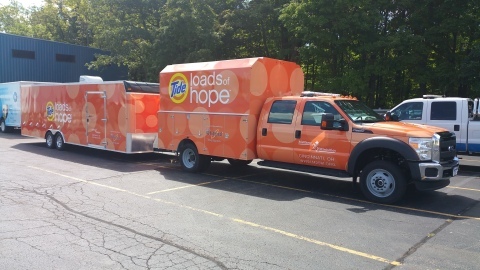 Loads of Hope mobile laundry unit location at https://www.facebook.com/Tide. deployed and set-up in multiple communities impacted by disasters. Pampers, Pantene, Secret, Swiffer, Tide, and Venus. organization. More information can be found at www.m25m.org.